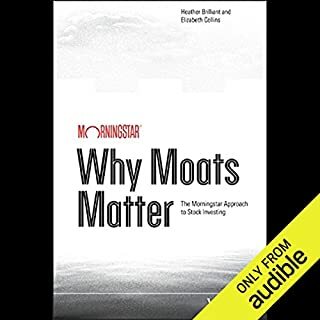 Why Moats Matter is a comprehensive guide to finding great companies with economic moats, or competitive advantages. 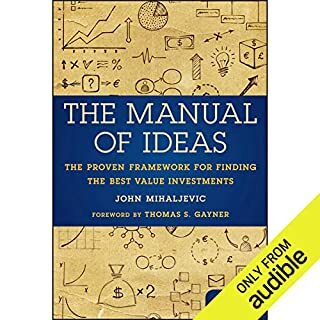 This audiobook explains the investment approach used by Morningstar, Inc., and includes a free trial to Morningstar's Research. Economic moats - or sustainable competitive advantages - protect companies from competitors. Legendary investor Warren Buffett devised the economic moat concept. Compiled for the first time, and with Buffett's permission, these letters spotlight his contrarian diversification strategy, his almost religious celebration of compounding interest, his preference for conservative rather than conventional decision making, and his goal and tactics for bettering market results by at least 10 percent annually. Demonstrating Buffett's intellectual rigor, they provide a framework to the craft of investing that had not existed before. Welcome to the age of data. No matter your interests (sports, movies, politics), your industry (finance, marketing, technology, manufacturing), or the type of organization you work for (big company, nonprofit, small start-up) - your world is awash with data. As a successful manager today, you must be able to make sense of all this information. You need to be conversant with analytical terminology and methods and able to work with quantitative information. This audiobook promises to become your "quantitative literacy" guide. 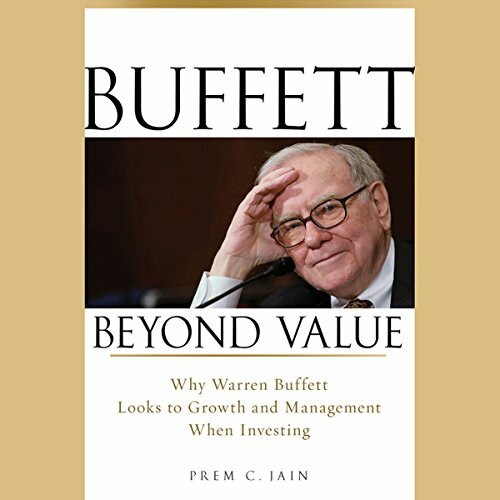 In this engaging new audiobook, author Prem Jain extracts Warren Buffett's wisdom from his writings, Berkshire Hathaway financial statements, and his letters to shareholders and partners in his partnership firms. Jain uncovers the key elements of Buffett's approach that every investor should be aware of. With Buffett Beyond Value, you'll learn that, contrary to popular belief, Warren Buffett is not a pure value investor, but a unique thinker who combines the principles of both value and growth investing strategies. 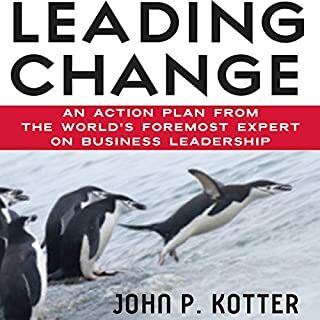 You'll also discover why understanding CEOs is more important than studying financial metrics; and why you need an appropriate psychological temperament to be a successful investor. With this audiobook as your guide, you'll learn how to successfully invest like Warren Buffett. ©2010 Prem C. Jain (P)2012 Audible, Inc. The part I like most was the chapter on financial ratios. Jain gives more than just abstract narrative and actually discusses financial mathematics, with examples, in a case-study like format. I believe such an approach at once makes the advice about value investing very practical and actionable. Jain is a professor of finance at Wharton. I was surprised to see that somebody coming from academy could openly and favorably expound Buffett style investing strategies which challenge many of the current academic dogmas. 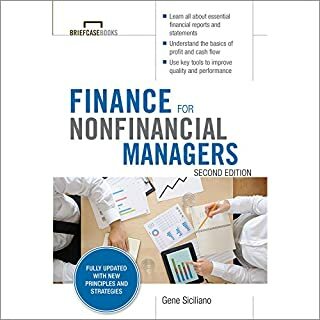 Efficient Market Hypothesis , or its many variants, continues to becloud the investment management and financial econometrics as pedagogies at many of the B-schools. To Jain's credit , he has not allowed his theoretical finance background hamper his exposition of what has been seen to be holding true in practice. Another guy who does this very well is Joel Greenblatt, who is essentially a Hedge Fund manager dabbling in academics as a hobby. I endorse his books too for the practitioners of value investing. Greenblatt, however, has evolved his own unique quantitative style with value investing as the base. 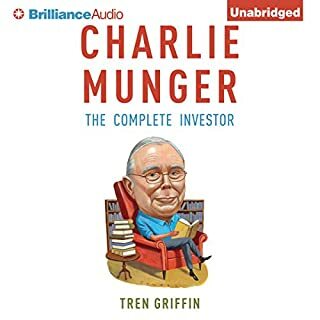 If you have never read any book on Warren Buffett style investing, this is perhaps the only book you might want to read if you do not want to read too many. You could for sure give Mary Buffett's books a pass after reading this one. The same goes for the rest of the cottage industry which has developed around writing books on Buffett, cycling the same content in different ways. Loved it there were many great insights and no unnecessary history about him personally that is not as useful and is summarized well in other books. Written for the absolute novice. I was disappointed. This book was written for the complete novice. Takes too much time explaining beginner concepts, such as describing how assets depreciate or explaining how Goodwill isn't good feelings toward a company. He also draws conclusions and makes simplistic investment recommendations that are only loosely connected to Buffett...I'm not at all convinced Buffett would agree with at least half of them. MAYBE good for a high school kid who has never read another book on WB. Would you try another book from Prem C. Jain and/or Mike Chamberlain? What was one of the most memorable moments of Buffett Beyond Value? What didn’t you like about Mike Chamberlain’s performance? it was worthwhile to learn about most the subsidiary companies, and their history as most of them do, under berkshire hathaway and other similar companies by comparison to Berkshire. Also explanations on why Buffett may have sold early on certain stock. Otherwise most of it was just reiterating the common value investing principles and strategies. Considering that the author had to write this book based on info he could find BY HIMSELF it's pretty good. It's not life changing, but I'm glad I took the time to listen to it. Narrator let's it down a bit though. 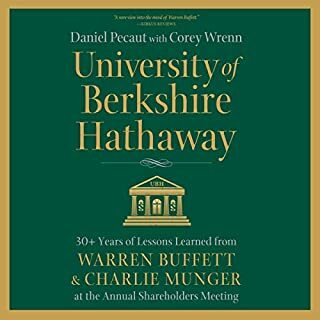 I found this to be and interesting and useful summary of Buffett's approach, but found that it didn't really go into enough depth for me to understand how to implement the approach. A good starting point for then pursuing further studies. I have read many books about Warren's Buffett investing principles and this one belongs among the best.